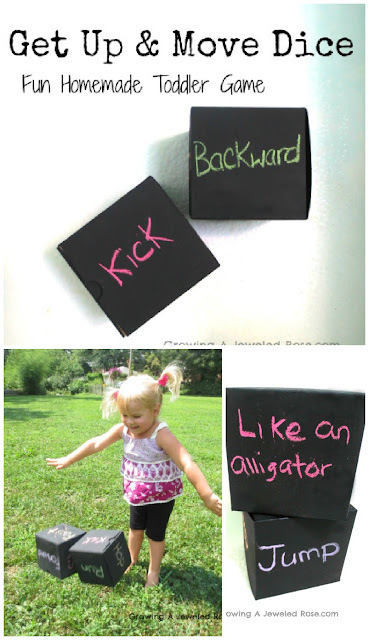 This homemade game is easy to make and so fun for kids! 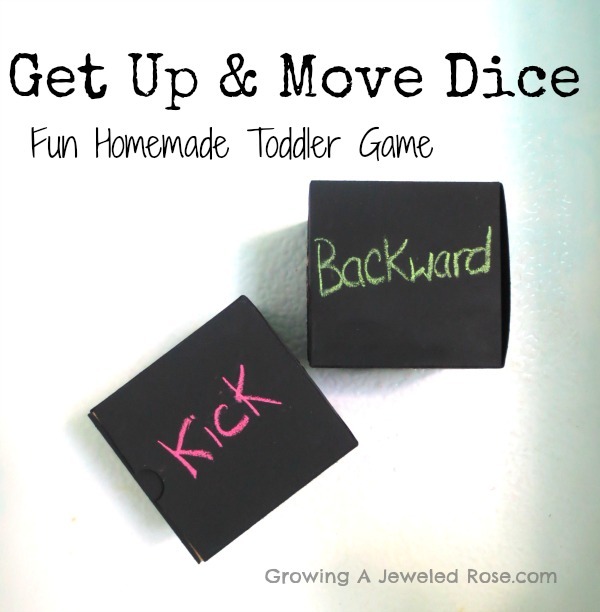 Get Up & MOVE Dice foster creative movement and imagination, too; Great for keeping little ones active when stuck indoors. To make our dice I used two small gift boxes that I found at Michaels craft store for 50 cents. At first, I was just going to write words on each dice with marker, but then I remembered we still had chalk board paint left over from when we made our GIANT homemade light bright. 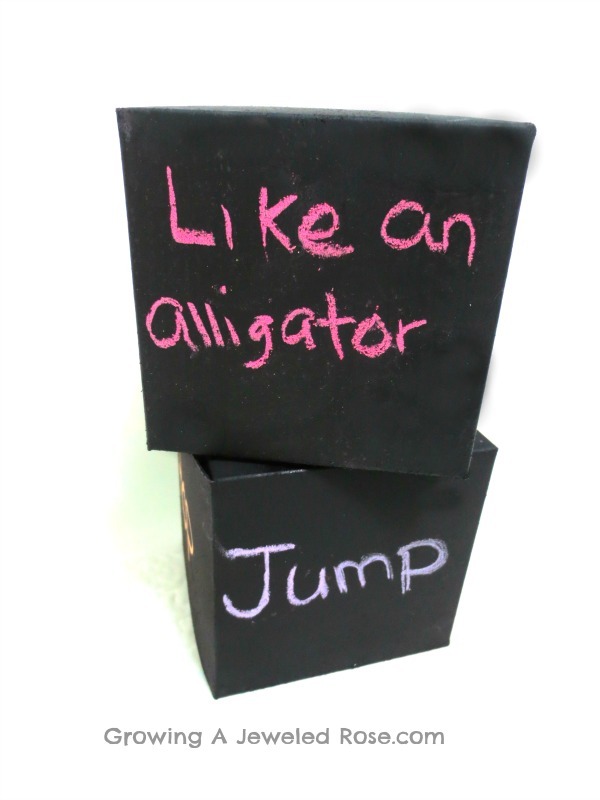 I sprayed the boxes with the chalk board paint and then wrote words on the boxes using chalk. On one box, I wrote action words. 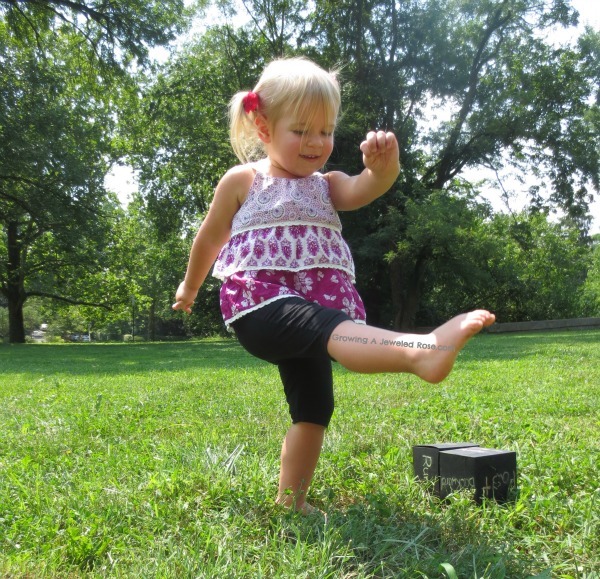 On the other, directional words. I love that the words can be changed often. 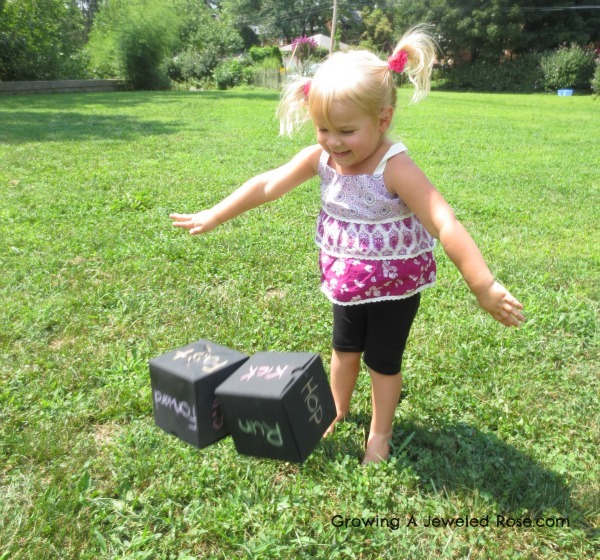 We could even erase the words, and use these dice for lots of other creative playtimes. Rosie has had so much fun playing with these dice, and so has mommy. We have changed the words on the dice a couple of times. The second time, I kept the action words and changed the directional words to foster and promote creativity. Here is one example of the type of imaginative descriptions I used. You should have seen Rosie jumping like an alligator. It was quite creative and quite funny. 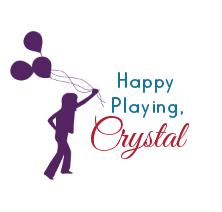 I love how simply changing the words on the dice created a whole new playtime! 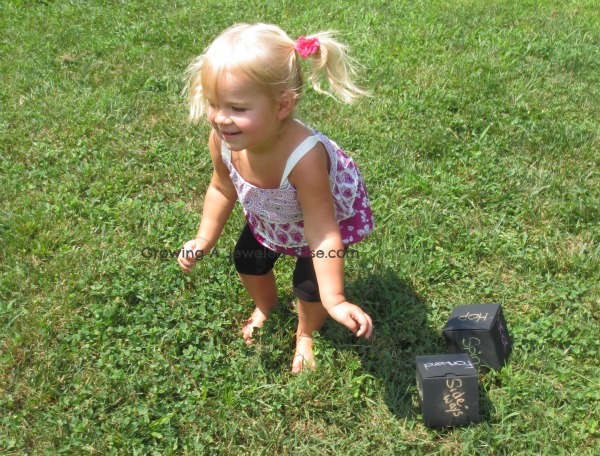 I also love that this toddler game promotes exercise and creative movement. I have lots of other ideas for these dice, too. This homemade game was so easy to make, and the boxes were only 50cents a piece. Definitely worth every penny! 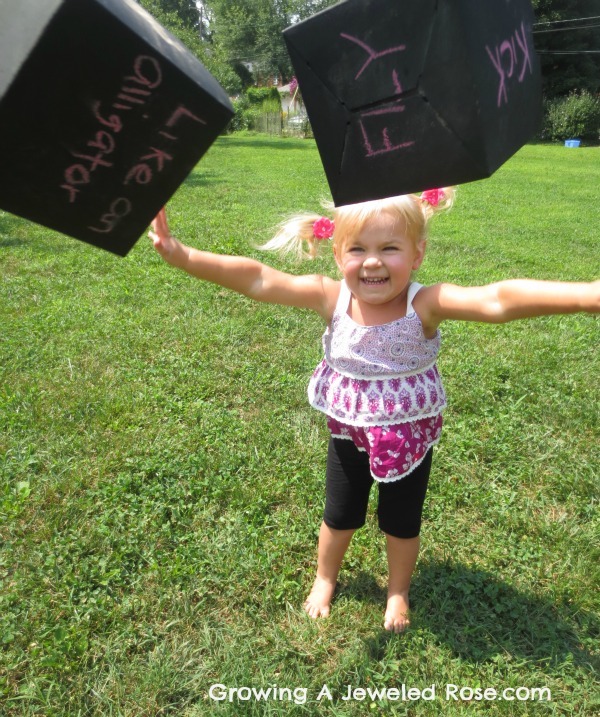 Check out our kids play time favorites for lots more FUN!